Dwelling as a fugitive practice? This dissertation project is concerned with refugees’ dwelling practices on different places of their sojourn and the relation of these practices to the wider urban context. 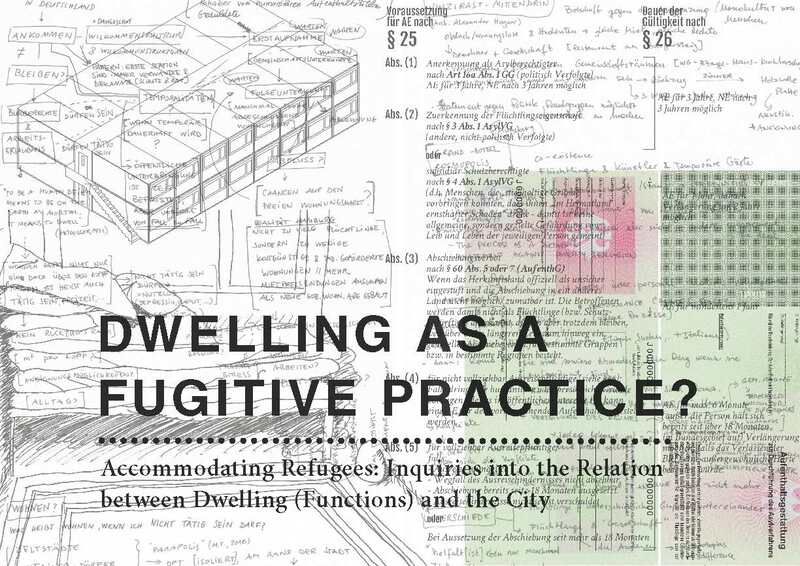 The ‘fugitive dwelling’ is thereby understood as an assemblage of regulations (politics, regulations, laws), their spatial translations (functional order, built spaces) and practices (appropriation through actual users and uses). Furthermore, this study is concerned with urban transformations that affect the relationship between the northern city and functions of dwelling as expressed in typologies of refugee architectures in the broader sense (accommodation and everyday life practices).